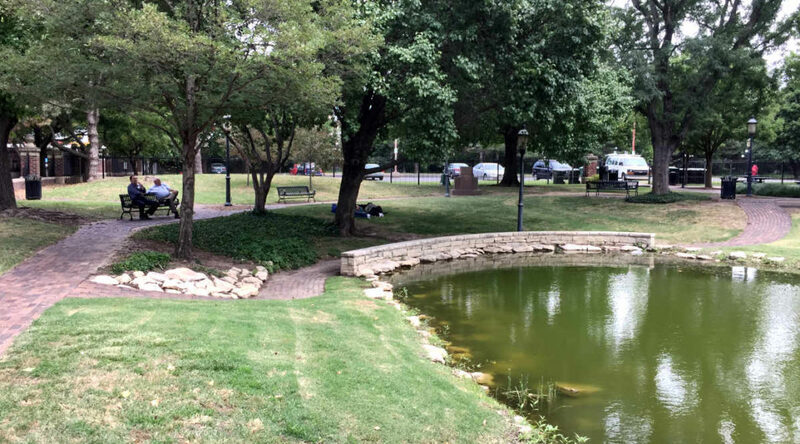 The redesign of Naftzger Park in downtown Wichita is not a done deal, at least not legally. Center City South Redevelopment TIF District, July 2017. Click for larger. On July 11, 2017 the Wichita city council set August 15 as the date for the public hearing. Presumably a vote on adoption of the redevelopment plan will be at the same meeting, although votes like this have been delayed. And, there’s no guarantee there will be five votes in favor of adopting the plan. Another consideration: The city is proceeding at full speed — “an aggressive timetable” is the quote from the city manager — on the plan to redevelop Naftzger Park. 5 Public sentiment seems to be that it is a “done deal.” It’s going to happen, people are resigned to say. But other city officials act as though the design of Naftzger Park is inevitable, that the TIF money is there waiting to be spent, and those funds will be lost if not spent on the park. With attitudes like this, I wonder why we should bother holding a public hearing. 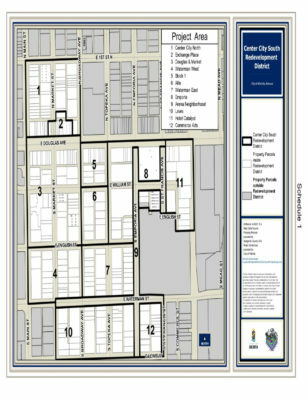 In accordance with state law, a TIF Project Plan has been prepared in consultation with the Wichita-Sedgwick County Metropolitan Area Planning Commission, which has made a finding that the project is consistent with the Comprehensive Plan for development of the area. In order to adopt a TIF Project Plan, the City Council must first set a public hearing no less than 30 and no more than 70 days from adoption of the resolution setting the hearing. The date of August 15, 2017, at the regular City Council meeting is proposed for the public hearing on the Naftzger Park Project Plan. If adopted by the City Council, the attached resolution setting the August 15, 2017 public hearing will be sent to the owners and occupants of all property located within the proposed Naftzger Park Project Area, by certified mail. The resolution will also be published in the Wichita Eagle and copies will be provided to the Board of County Commissioners and Board of Education and their appropriate staff. After closing the public hearing on August 15, 2017, the City Council may adopt the TIF Project Plan by ordinance, by two-thirds majority vote. Once adopted, the City will be authorized to use TIF to finance eligible project costs.